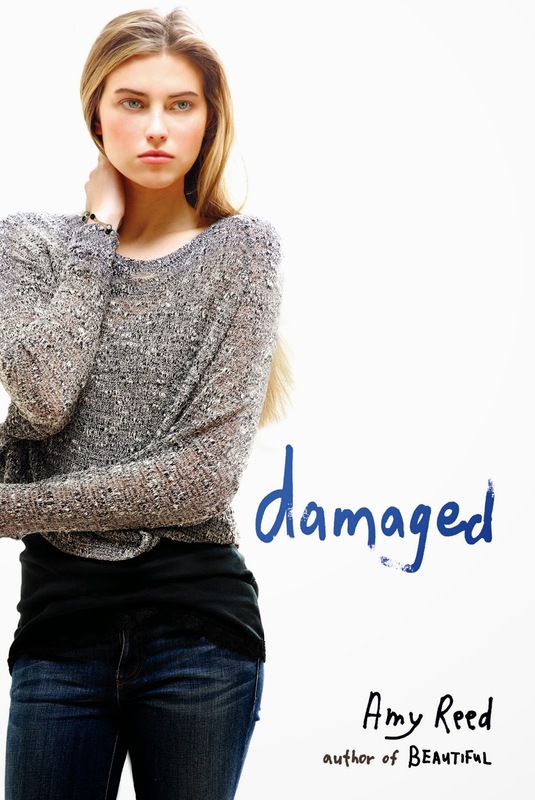 Home > author interview > Interview with Amy Reed, author of DAMAGED!!! Interview with Amy Reed, author of DAMAGED!!! Today on the blog we are pleased to welcome back a YA Highway favorite, the incredible Amy Reed. 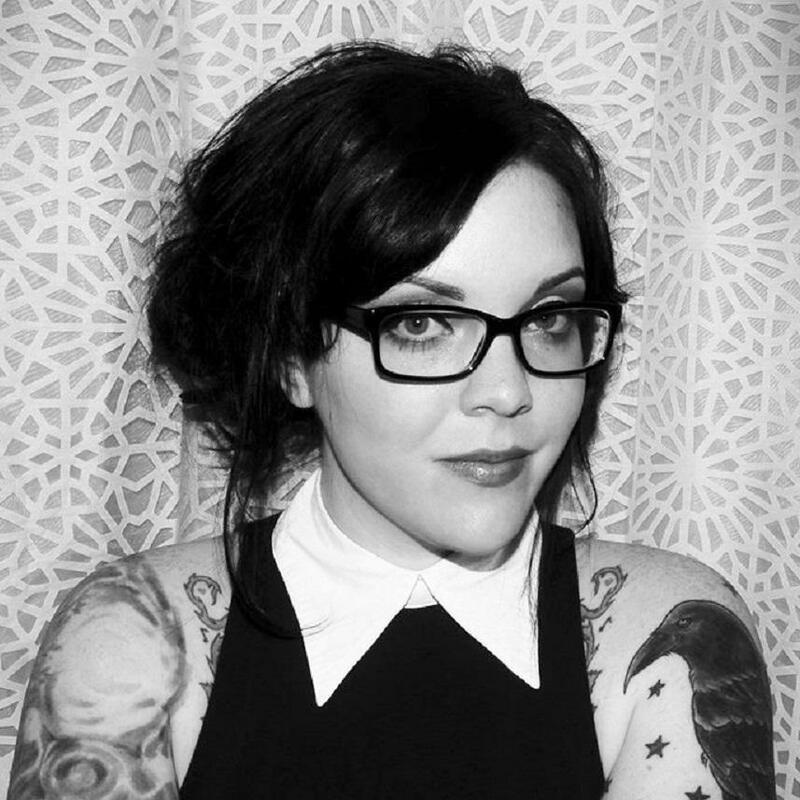 We've had the opportunity to feature Amy before with her novels OVER YOU and CLEAN, both of which are awesome. In the most recent interview, Amy mentioned that her next project had a slight paranormal element. That project is finally here...let's hear it for DAMAGED!!! Part ghost story, part epic roadtrip, and part reluctant love story, DAMAGED offers readers another piercing, poignant story full of emotional truth from author Amy Reed. shuts down, deciding that numbness is far better than mourning. All she wants during the last few weeks of high school is to be left alone, but Camille’s mysterious boyfriend, Hunter–who was also in the car that night–has different ideas. Despite all of Kinsey’s efforts, she can’t outrun Camille, who begins haunting her dreams. Sleep deprived and on the verge of losing it, Kinsey runs away with Hunter to San Francisco. As they drive across the country, trying to escape both the ghost of Camille and their own deep fears, Kinsey questions all she once believed about her friendship with Camille. Hunter, meanwhile, falls into a spiral of alcoholism, anger, and self-loathing. Ultimately, Kinsey and Hunter must come to terms with what they’ve lost and accept that they can’t outrun pain. Aaah, how awesome is that description, seriously?! 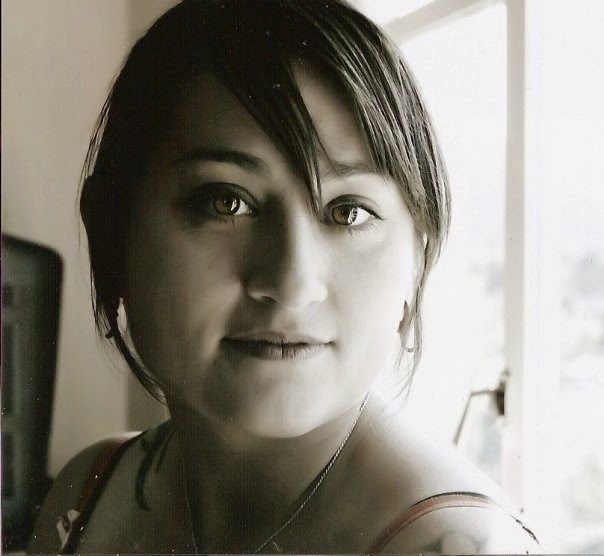 We were lucky enough to get an interview with Amy, where she dishes on writing paranormal, her plans for future stories, the writing process with DAMAGED, and how sharing her experiences with addiction and recovery have affected her writing and her life. 1) There is a ghostly/borderline paranormal aspect to DAMAGED that wasn't present in your previous books. Did anything specific inspire you to explore that area of the cosmos, or was it something that just felt 'right' for the story itself? "I always want to try something new with each book, so I’m always looking for a way to challenge myself with structure or POV or a new kind of story element. I think what inspired me to try this particular direction was Courtney Summers’ novel THIS IS NOT A TEST. Courtney is, in my opinion, one of the best contemporary YA authors around. Then she up and wrote this great book about the zombie apocalypse! The best part about it was that is still read like contemporary YA; it was still very much based on character and story. I thought, hey, maybe I can play around with genre, too. I immediately thought of one of my all-time favorite books, DREAM BOY, by Jim Grimsley, which is so many different books at once—ghost story, gay coming-of-age, Southern Gothic, love story, horror, literary fiction, YA. It was liberating to think that maybe I didn’t have to fit into one category." 2) Do you currently have any plans for other ghostly stories? "Not at the moment, but I plan to always push myself to try new things, so it’s very possible I will revisit paranormal elements. More than possible, actually. Quite probable." 3) This book takes a painfully close-up look at the intense emotions that revolve around grief, guilt, and past demons. Was there any part of Kinsey's story that was particularly difficult to write? "I think the hardest stuff for me to write were the parts with Kinsey’s mother. It broke my heart how unreliable and cruel she could be, how Kinsey had to fend for herself in so many ways. Kinsey overcompensated for her mother’s erratic emotional state by creating a false sense of control, which led to a debilitating perfectionism that I very much related to. I think their relationship was extra painful for me to write because I’m a mother now myself, and I was incredibly angry at Kinsey’s mother for being so selfish, for not taking care of her baby. But in the end, I had to find some compassion for her. She was very sick, very narcissistic, but was capable of some tenderness." 4) You were recently featured on Nova Ren Suma's incredible 'The Book of Your Heart' series, where you opened up about your past experiences with addiction and talked about how those experiences have affected your writing. Was there something that sparked your willingness to share your inspiring story? "When Nova invited me to write the post, I knew I was going to have to open up about the backstory of one of my books. I’ve always felt slightly uneasy with how guarded I’ve been about my own experience around addiction, but it had seemed necessary for quite a while. It wasn’t something I hid, but I never explicitly stated it. I had a day job in publishing, where I interacted daily with coworkers who knew of my writing career. My history with addiction wasn’t something I wanted to share in that professional environment, so I kept it private, though I think anyone who was looking could figure it out by piecing together clues from my books and interviews. Since having my daughter and moving to the other side of the country, I’m no longer a part of that professional world. I’m blessed to be able to write and mother and pretty much choose how I spend my time and whom I spend it with. Being in recovery is one of the most defining things about myself, one of the things I am most proud of, and I guess I finally felt free to put it out in the open. I think it also helped that I had just received a letter from a reader who asked if I was in recovery, thanking me for telling her story and inspiring her to stay sober. I’ve received many such letters over the years, and they are the greatest part of this job. I realized it could help even more if readers knew I was writing from experience, that I actually knew what they were going through, that I wasn’t just some condescending adult trying to moralize something I knew nothing about. I wanted them to know I was someone they could trust. And most of the time, the best way to do that is to just be honest." Thank you so much for stopping by, Amy. DAMAGED is remarkable, and we can't wait to read your future work as well. Amy Reed is the author of the edgy, contemporary YA novels BEAUTIFUL, CLEAN, CRAZY, and OVER YOU. Her new book DAMAGED released October 14, 2014. Find out more at www.amyreedfiction.com.